We are happy to publish our recent happenings and other News in this web page. 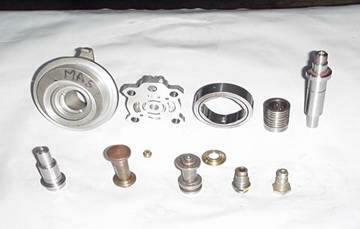 Reethika Precision Engineering is specialized in supplying machined components available at competitive prices. We can supply all types of small and medium size CNC machined parts. We are basically qualified people with manufacturing background committed to deliver high quality and build trust with customers. Facilities: State of the art new technology machines for Precision Turning, Milling up to 4 axis contours, Grinding facilities and Vibro Deburring machines in Chennai, India. Call us or email your enquiry for machined component requirements.